Moving splinterguard for splinter-free cuts on both sides. Clearly laid out, well-positioned control elements. Surrounding V groove for locating angle stops. 1,500 watt universal motor for powerful cutting. Rip cuts up to a depth of 70 mm. Cross cuts up to 650 mm wide at 45. 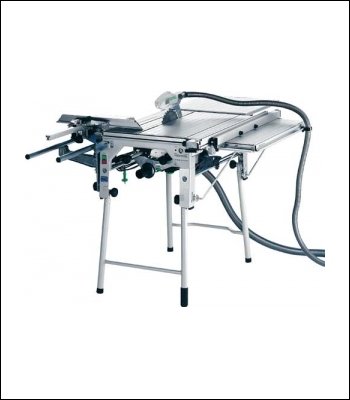 Sliding table for quick, precise cross cuts up to 650 mm wide.